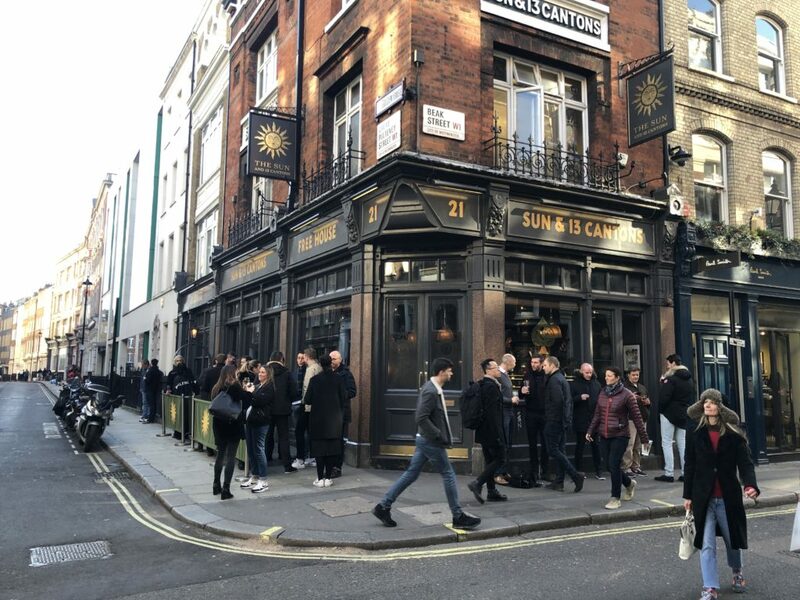 The Sun and 13 Cantons is one of those stalwart boozers in Soho where you can be guaranteed a decent pint, ample plonk and a platform for culinary residences. I’ve also associated it as a garishly loud, pavement spilling drinking hole which I dodged in the summer. Little did I know that the likes of Asma Khan of Darjeeling Express to Mandy Yin of Sambal Shiok, started their gastronomic dominance from this very pub. 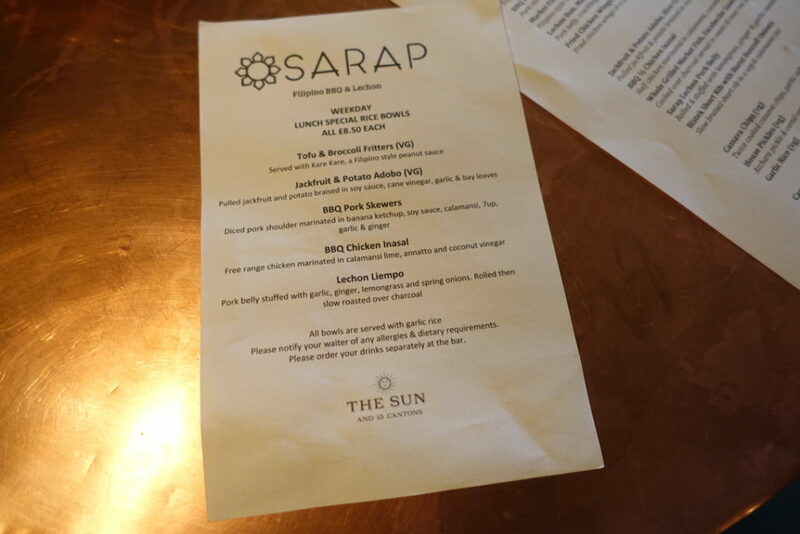 I hope that Sarap, the representation of Filipino BBQ created by Sydney-raised Filipino chef, Ferdinand ‘Budgie’ Montoya, is no exception as the food is good enough to wake up any jaded palate in my humblest. 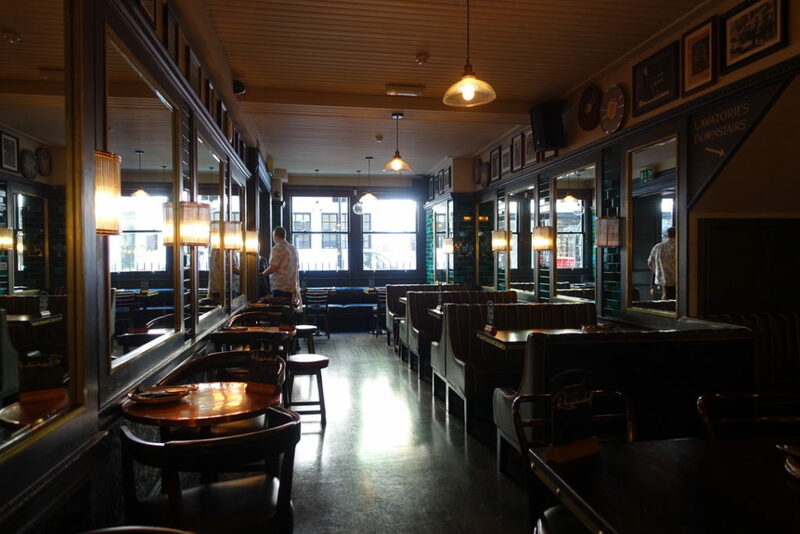 The inconspicuous space tucked away in the pub is where the action happens. Green tiled walls meet a wooden floor and there are plenty of mirrors to give the room an illusion of depth. The green leather banquettes could have done with some elbow grease and you would probably need to dry clean your trousers after peeling them off, but who really has OCD like me? 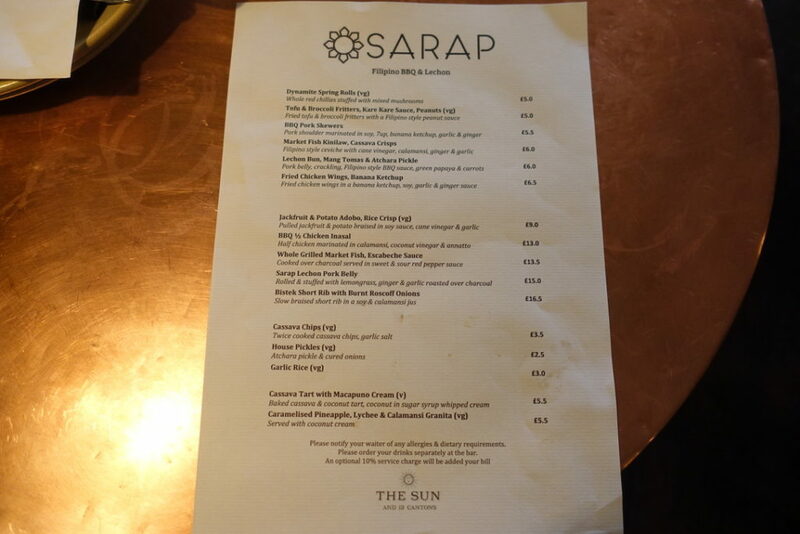 We were offered two menus. One for the wham-bam diners who simply don’t have time to indulge in a long-lunch like me, which comes with £8.50 rice bowls. It seems like good value in a part of town where sandwiches cost that much. The other is an a la carte style format which is what I’m here for. 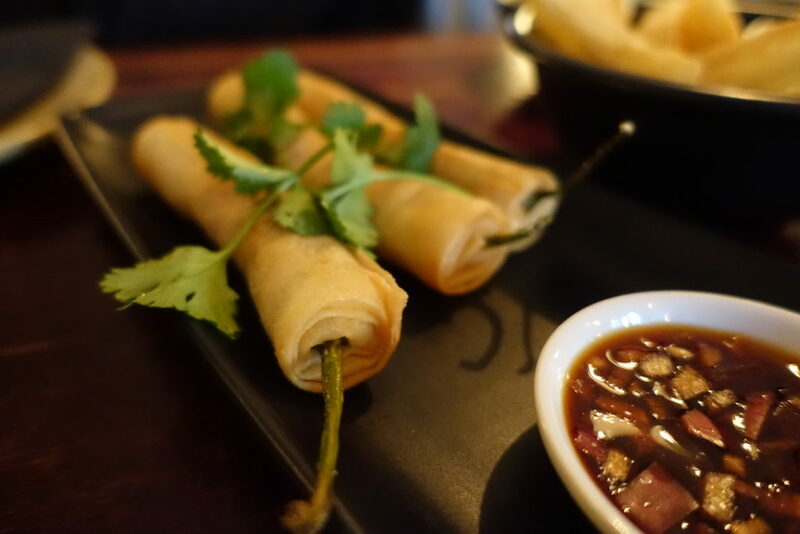 Dynamite spring rolls £5 are aptly named deep fried fruity chillis wrapped up in crispy pastry. The menu says that it came with mixed mushrooms, but somehow Houdini got his hands on them. It didn’t matter though, as they were kind of snack that brightens up a bad day. 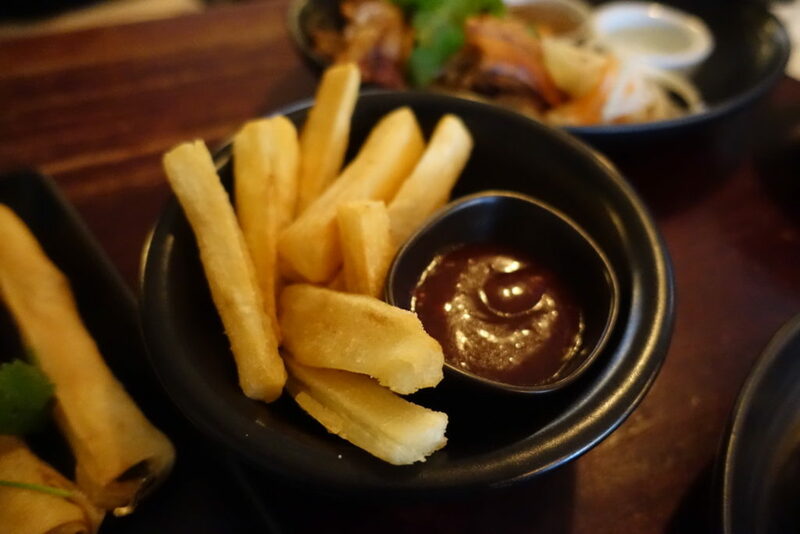 Cassava chips £3.50 with garlic salt came a savoury-sweet ketchup. 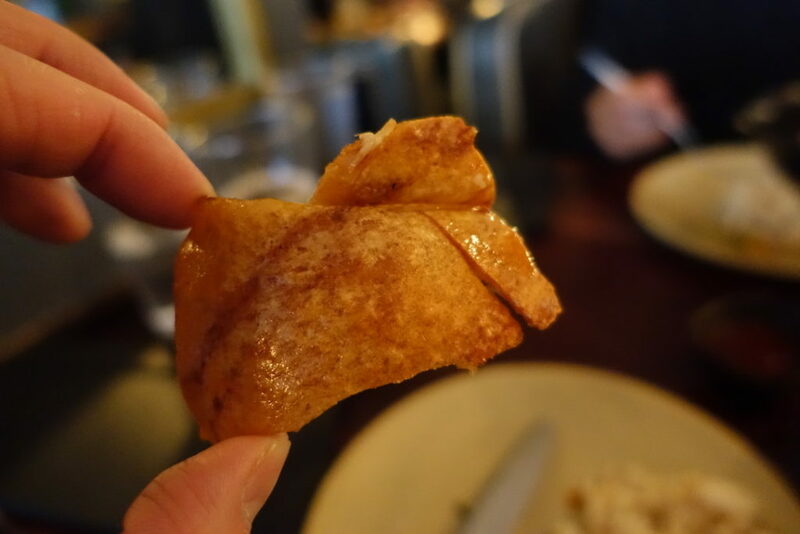 They were the very definition of what a satisfying carb should be – starchy, crispy and outright addictive. I can really see these being crowd pleasers. 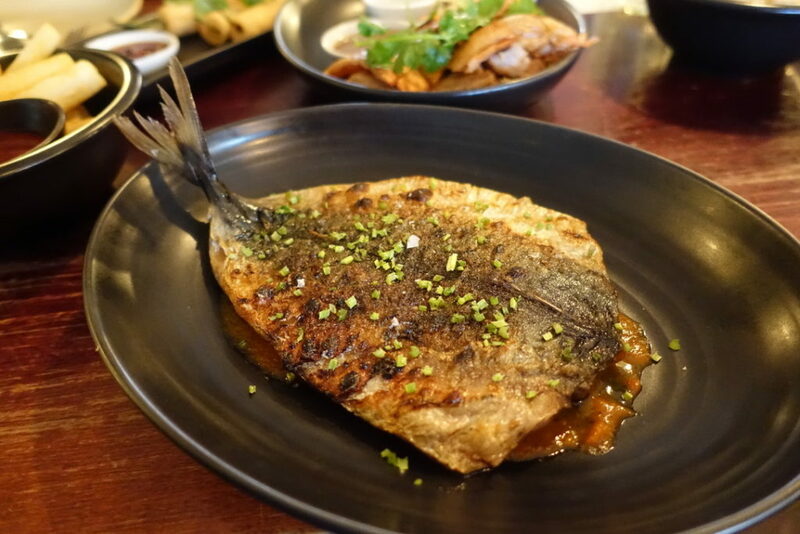 Whole grilled market fish £13.50 was oily mackerel cooked over coals, nestled on an expertly smeared tangy escabeche sauce. 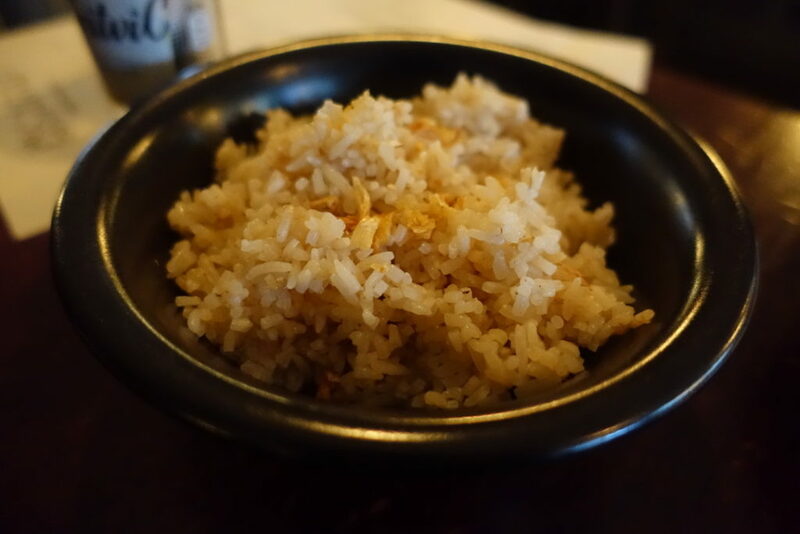 Garlic rice £3 was from what a gathered, egg fried rice garnished with slithers of fried garlic. 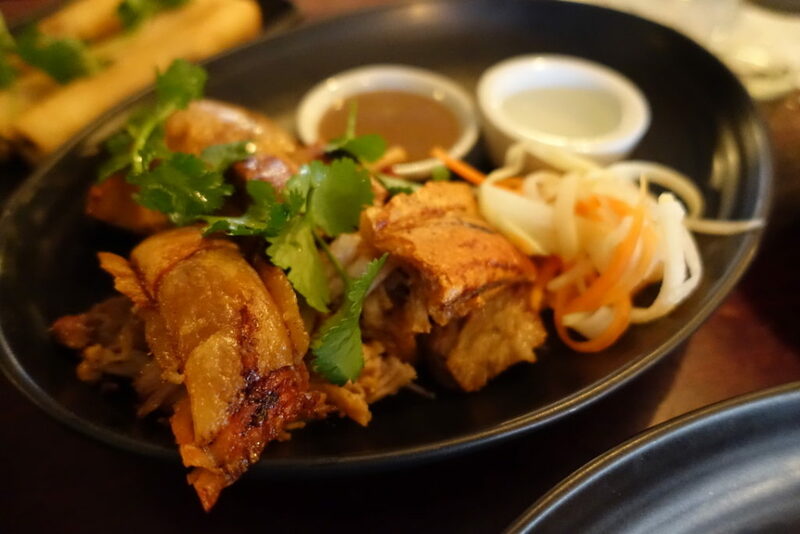 Sarap lechon pork belly £15 was pork rolled in a marinade of lemon grass, chilli, ginger and garlic. 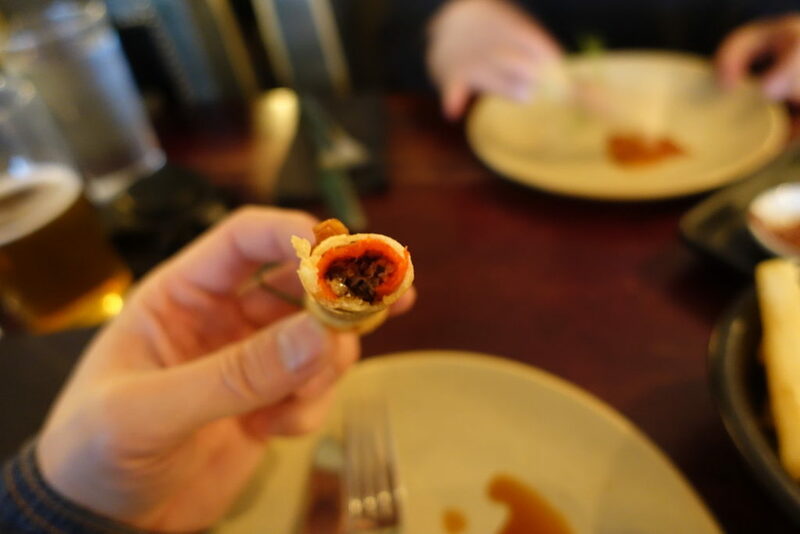 Then it’s fired over coals until the meat is melting and unctuous & the skin is so crispy, it gives a triple crunch that ricochets through your fillings. 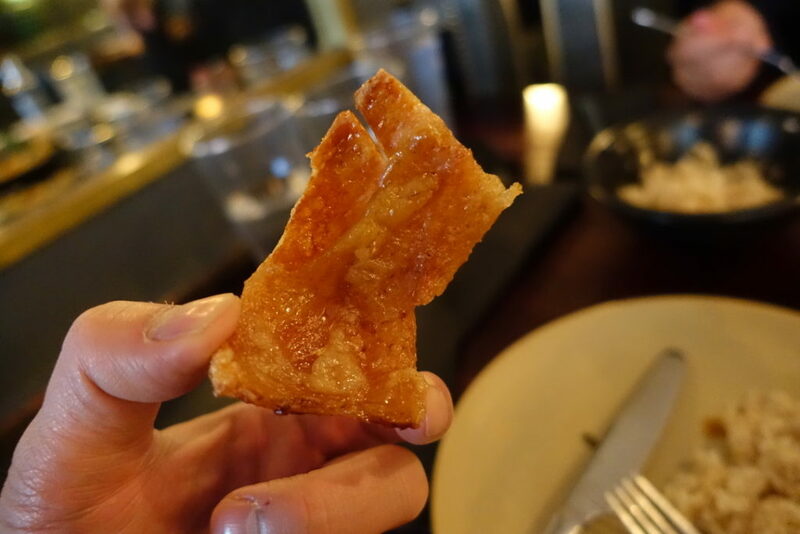 There were condiments of vinegar and pickled vegetables to cut through the richness too. Loved this swine. 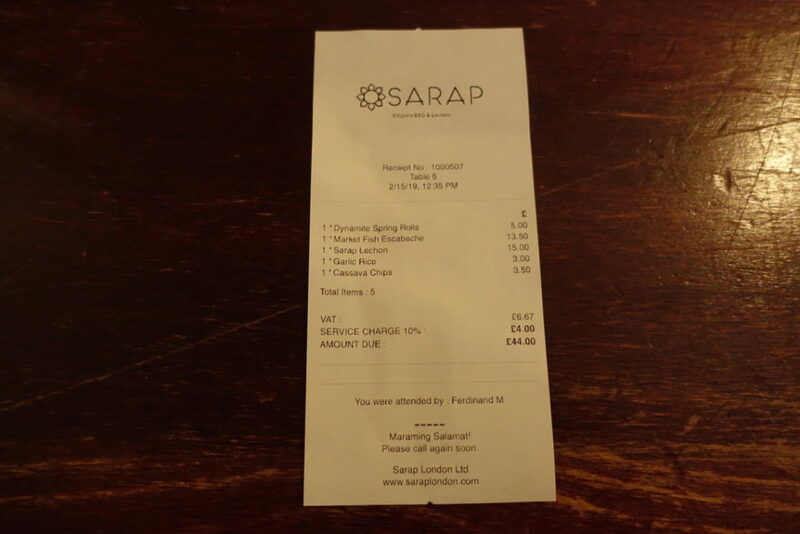 The damage: Expect to pay £20/30 per head. 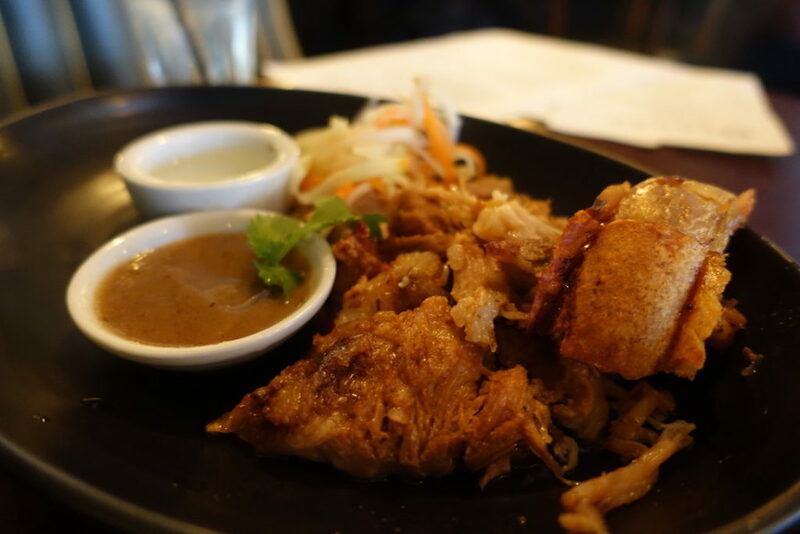 The good: It was my first time trying Filipino food and it really sparked my curiosity. 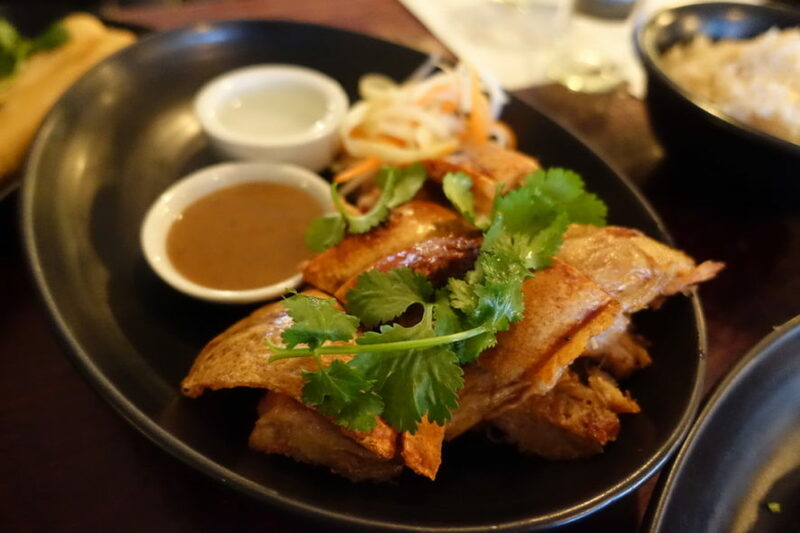 It’s the sort of food that gets into your soul and tickles your belly and puts a content smirk on your face. 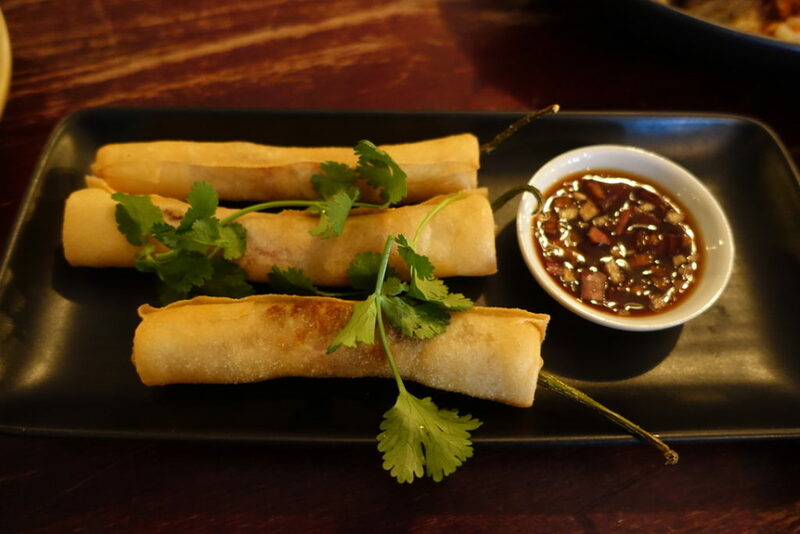 It’s rare that every dish is filled with utter goodness, they do it here. If this is what’s to come from Sarap, then I cannot wait to book my table when they become permanent. The bad: I’ve forgiven the pub for the dry cleaning bill. Oh and it’s a pop-up, so pop in before it pops off! Would I go again? Looking forward to it already.